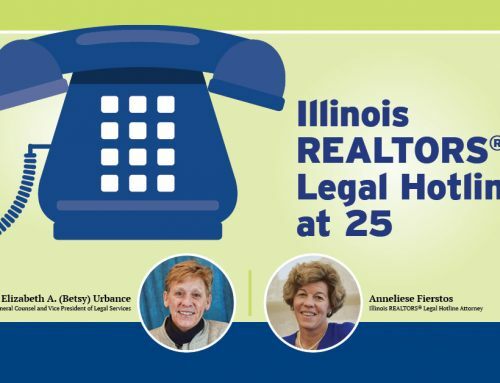 Find the latest Illinois REALTOR® magazine in your mailbox yet? If you’d rather peek at holiday presents than be surprised, does that mean you’d prefer the online version of the January Illinois REALTOR® magazine over the traditional paper format? Thankfully, you have a choice! The January cover story introduces you to IAR’s 2015 President Jim Kinney, reveals what led to his real estate career and shares his vision for the year ahead. He is the vice president of luxury home sales at Baird & Warner in Chicago, and he believes in continuing education, as evidenced by four designations and his support of colleagues who want to learn more, too. He’s been involved in local, state and national REALTOR® issues for many years, and he’s no stranger to others involved on any of those levels. Read “Taking a broad view of the world and the real estate industry,” today. Maybe you’ll see a little bit of yourself in his story.